Can't get enough cherries this summer? Try this simple, no-bake cherry crumble recipe from Baking A Moment. Perfect for a summer dessert (or breakfast). 4 cups fresh cherries, pitted. 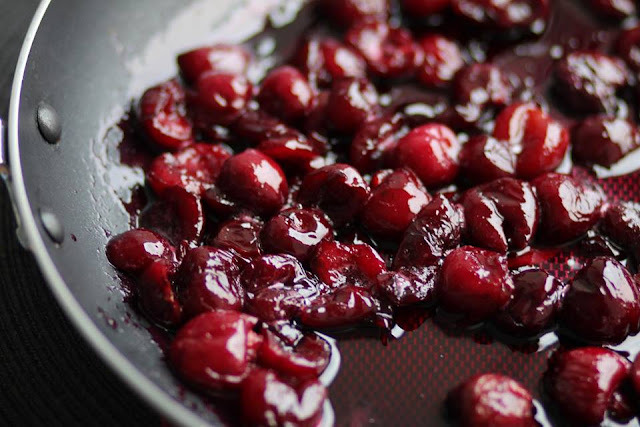 Put cherries and sugar in a small pot. Cook over medium-low heat and stir occasionally under cherries are tender. This will take about 10-15 minutes. 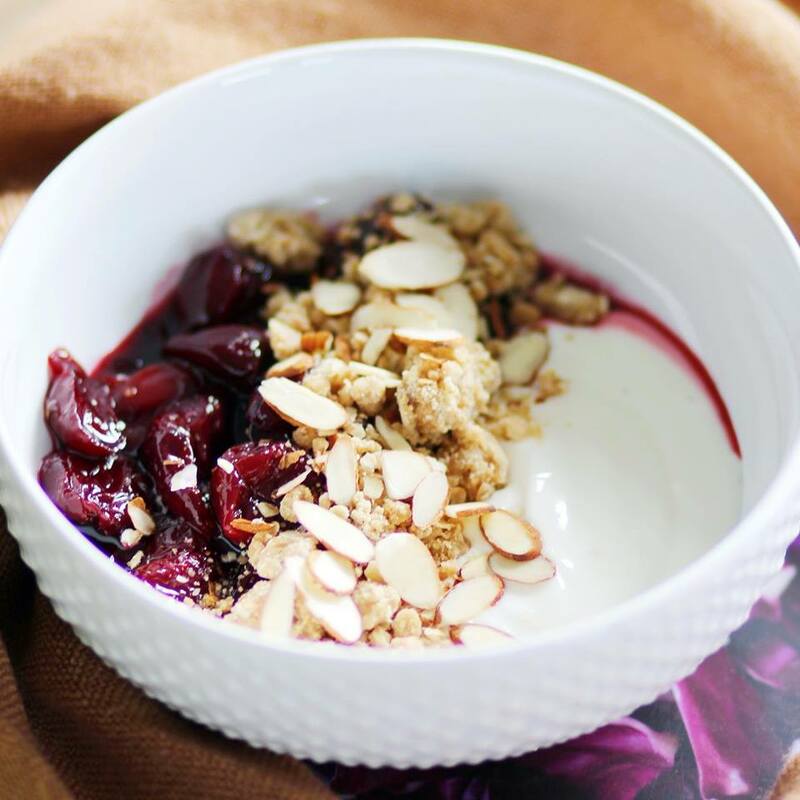 Place about a cup of cherry compote in a bowl and top with sliced almonds and vanilla Greek yogurt.